Mark loading up the spear gun so he could go get dinner! Even the locals where hooting and hollaring over how big this lobster was! 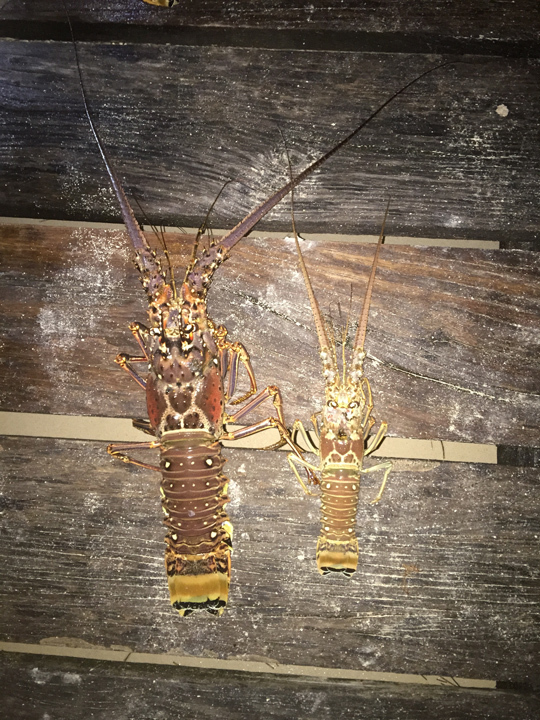 Normal size lobster on the right, Humungo on the left! Trip of a lifetime...still stuffed after that dinner! 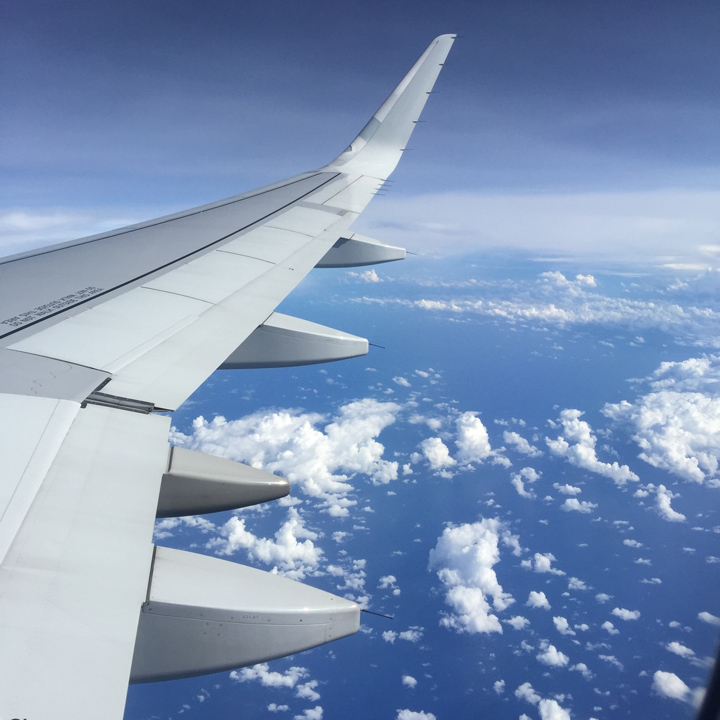 After months of talking about going to Belize's crystal clear water for a spearfishing trip, we finally had reached the day of departure. 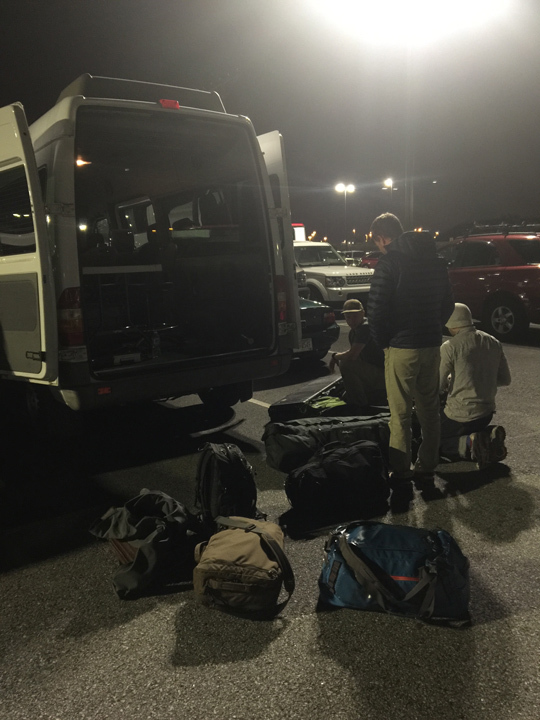 Myself, Jesse along with MSL shop manager Mark and our friends Shane and Jason loaded up a sprinter van full of Patagonia Black Hole Duffels, snorkels, and spearguns. We had planned on leaving Bristol at 8pm after we got done working at the shop but one thing after another delayed our first leg of the trip to Atlanta. It was after midnight before we left Bristol but who needs sleep when you have the 90's Hip Hop station on pandora and the excitement for an adventure and this trip was nothing short of an adventure.. We made it to Atlanta around 5am with enough time to check our gear bags and grab breakfast before our 7am flight. 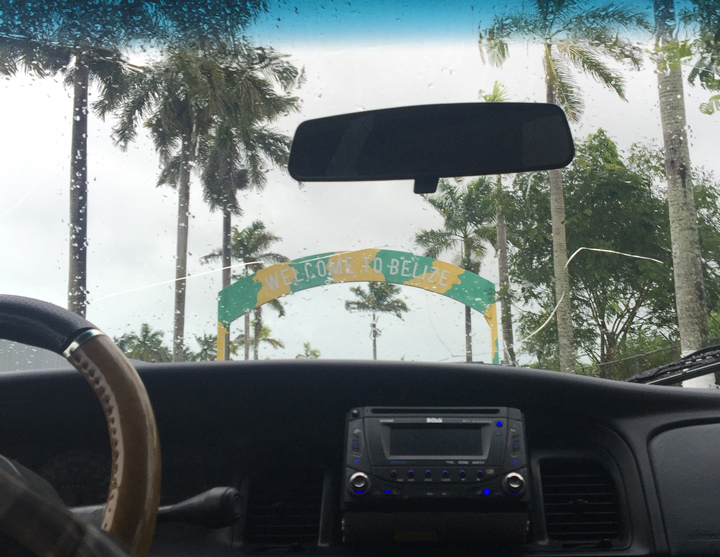 After connecting flights from Atlanta to Miami we found ourselves in a new country and Belize appeared to be experiencing a rain storm of the century but we didn't worry because it was the rainy season and all the locals kept telling us "Tomorrow is the day, the rain will pass." This wasn't the last time we would be told this but we left Belize City by boat and made our way to a small island known as Caye Caulker famous for their Tarpon Fishing; Patrick and Bob Cheers Sr. would of been in heaven. We didn't make any reservations before arriving to Caye Caulker because there were 2 or 3 hostels on the island and for $30 Belize or $15 US we got bunk beds in an air conditioned room at Bella's Hostel. 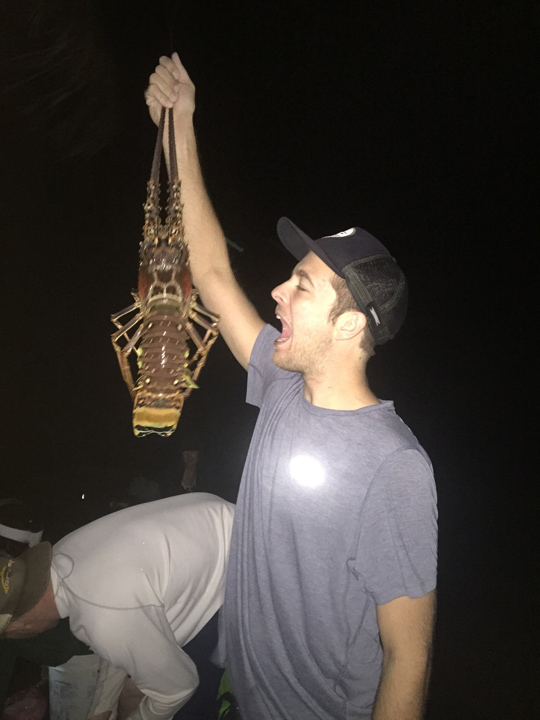 We ate lobster the first night for $10 dollars which included sides and rum punch, as we didn't arrive early enough to spear our own dinner and after tasting the lobster we became motivated to track down these tasty ocean crawlers that just recently came into season. 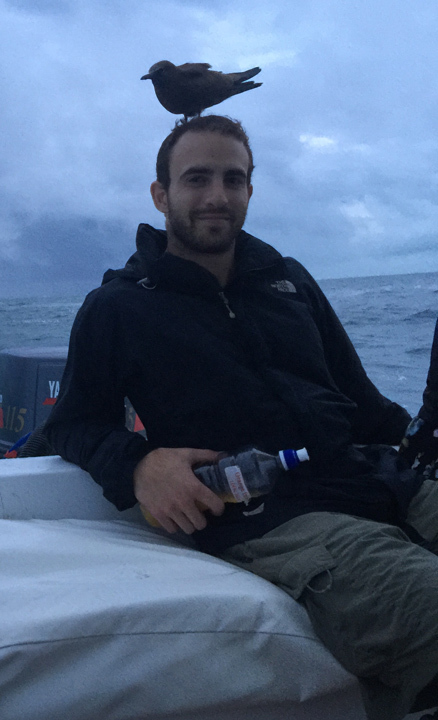 We woke up the next morning hoping to see the sun and get a chance to go out past the reef into deeper water for some spearfishing but when locals wouldn't take you out because of the weather you know the weather is bad. In order to make it past the reef we would have to get our boat over 8ft waves breaking on shallow reef and after hearing from one person at our hostel talk about his boat capsizing when they tried to go out, we decided to ask around for spots close to the island where we could go without a boat. We found a spot called the Split that was created when a Hurricane in the 60's ripped through the tip of the island and created an area where water now flows through like a channel to the backside of the water. We were told there were snappers along with other fish that swam in the reef in the Split so for the next few days when we couldn't find a boat to take us out to deeper water we got dinner from the Split. The rain continued each day and each day the locals told us "Tomorrow, tomorrow is the day" but finally on Sunday night the storm that was lingering around finally turned into a tropical storm which made it strong enough to move out and keep us awake till 4am with flooding, lightning, and thunder that shook the entire island. 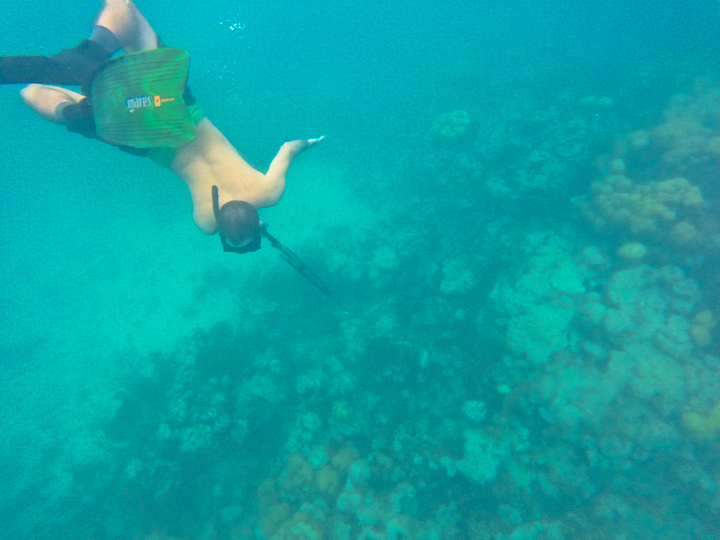 We woke up Monday morning excited because we finally knew we were going be able to make it out past the reef. Needless to say we got what we came for and ended up with enough fish to feed everyone at the hostel and got 3 lobsters, one of which the locals said they only see one that big maybe once a year. We ate like kings and talked spear fishing stories from that day the rest of the night with help from the rum punch. We packed up the next morning and made our way back with a trip full of stories to last a lifetime. Tiring work on the SoHo!